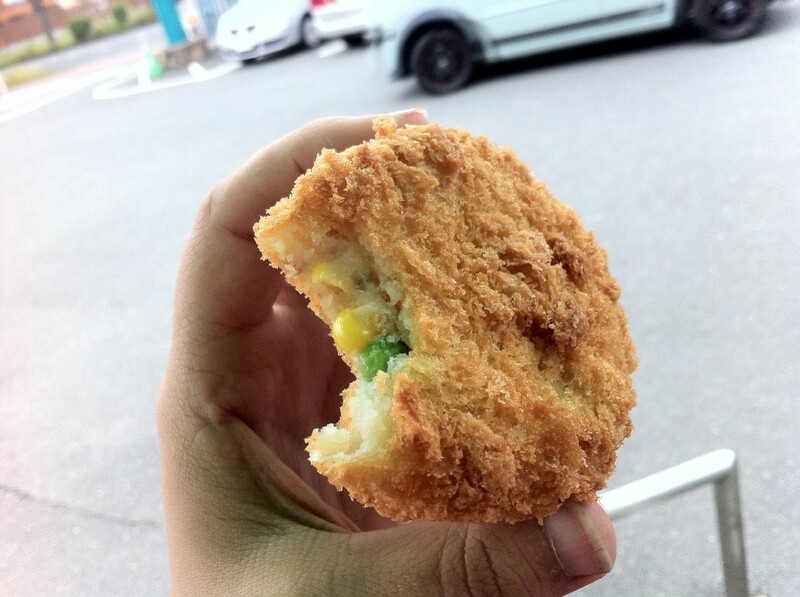 Apparently korokke are adapted from European food, but I had never seen it before coming. I love it! 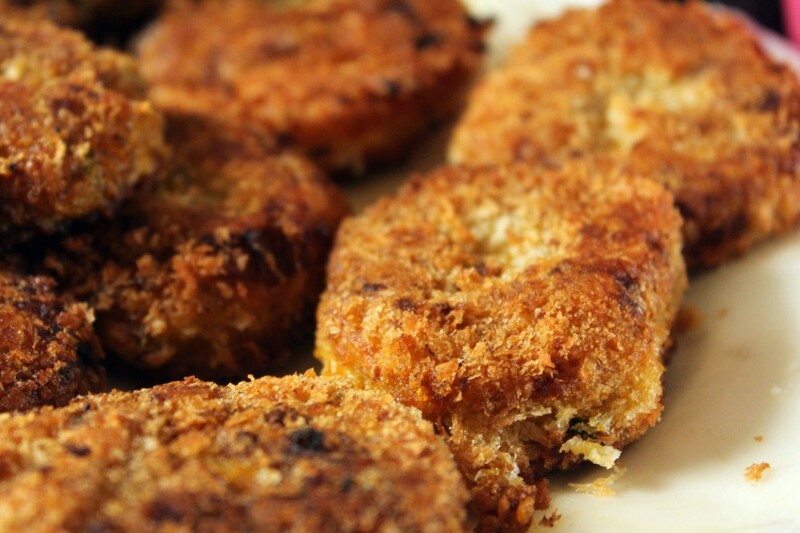 It’s basically mashed potatoes or yams or pumpkin, mixed with meat, vegetables or cheese, then breaded and deep fried. Available at the supermarket for 50 cents, these are best warm, and are a frequent “I’m at the grocery store and I’m hungry” snack. 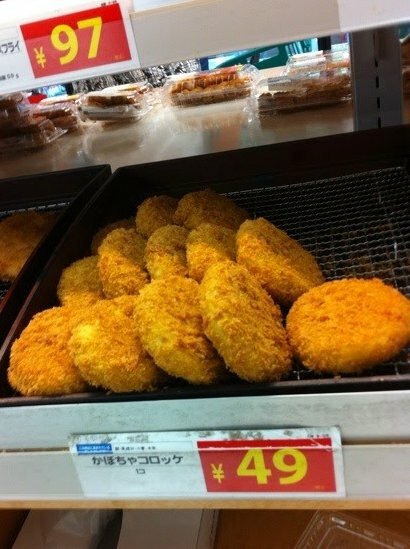 You can eat them plain, or smother them with tonkatsu sauce, which is so good I could, and do, eat it plain. Mmm.. tonakatsu sauce! Healthy they are not, but I’ve never heard of a better comfort food than deep fried mashed potatoes. I don’t want to spoil your authentic Japanese post, but…. it looks a teeny tiny bit like you posted photos of McD’s chicken nuggets. Especially the second photo. Haha. You’re right. Maybe I’m just deluding myself after all. Luckily these are thrice as big though!